It has been a very busy start to 2012 for Sweet Pictures. This year has brought a shift to more DSLR shooting on the Canon 5D and a continuation of stereoscopic work, this time with the new Sony TD300. On a trip to Cyprus in February, we filmed a sequence with a football coach for IMG Media on a Sony F3 and Canon 5D. To give grading options in the edit we used the S-Log recording option on the F3 and to help with clarity, we worked with some mint Angenieux lenses which made our day. Also in February Sweet Pictures worked with London based NZ band 'Melic' to shoot a music video for their single, Nowhere I'd Rather Be. This was shot on 3 Canon 5D's and a Canon 7D and edited by Kieran Humphries. Shooting from the front window of a Seoul subway train created a fantastic 3D travelling sequence for an episode of a new doco Don shot in March. Using the new Sony TD300 was a joy and with it's depth budget guidelines built into the viewfinder, much of the guess work was eliminated. The camera is a similar size to a Sony PMW500 and about the same weight. This made it perfect for Steadicam work. Working for IMG Media once again, Don headed to Hong Kong to help cover the 50th Rolex China Sea Race. A yacht race that starts in Hong Kong and finishes in Subic Bay in the Philippines. We played around with some Canon tilt shift lenses which worked well for timelapse photography in a big busy city like Hong Kong. Don sailed on the a Dubois 90 named Genuine Risk, taking with him a Canon 5D kit and a Sony HXR-NX70U. Shooting in the Ukraine for UEFA was next on the agenda where Don was producer for some pick ups of newly finished stadiums for the UEFA EURO 2012 competition. 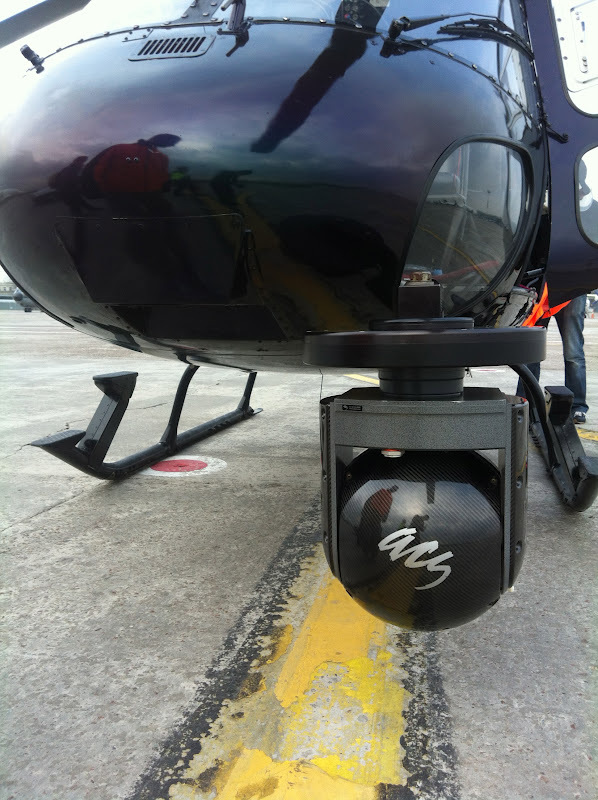 We filmed the stadiums with a cineflex ball and although the weather let us down, we managed to capture just enough footage to get the job done. Where and when your 3D docomentary, shot with TD 300 could be seen? 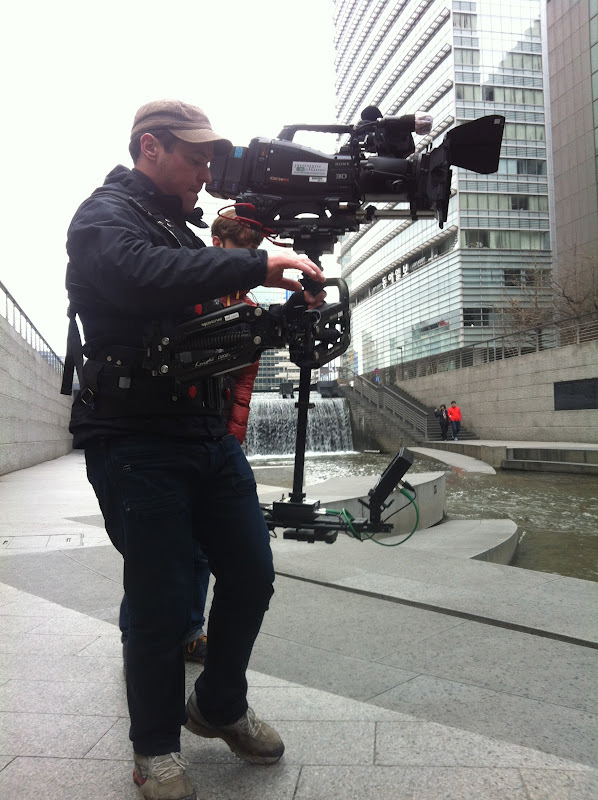 Which steadicam you are using? Shooting with TD 300 looks like fun. Hi, I am not exactly sure when the documentary is coming out but it will be on 3Net in the next few months. The steadicam was a MOVCAM Knight D202A. It was the only one we could find in Korea and worked OK for what we needed.